For the author's cathegory the other names in nomination were: Ahmad Reza Ahmadi, from Iran; David Almond, United Kingdom; Bartolomeu Campos de Queiros from Brasil; Lennart Hellsing from Sweden and Louis Jensen from Danemark. For the illustrator's cathegory the other names in nomination were: Carll Cneut, from Belgium; Etienne Delessert, from Switzerland; Svjetlan Junakovic, from Croatia and Roger Mello from Brasile. 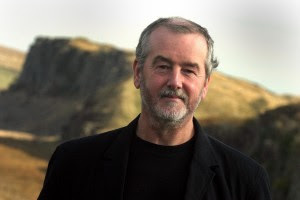 David Almond, born in Newcastle upon Tyne in 1951, he writes his first novel "Skelling" in 1998. Almond had already obtained other important awards before receiving the Hans Christian Andersen Award such as: the Whitbread Children's Novel of the Year Award, with the novel The Fire Eaters, and the Carnegie Medal. Amid his books: Kit's Wilderness (1999), Secret Heart (2001), Clay (2005), Jackdaw Summer (2008) and The Savage (2008), Almond also wrote a play titled Wild Girl, Wild Boy. Some of his recurring subjects have to do with constrasts such as life and death, past/present, but also education, nature, always with a particoularly careful insight on teenagers. Jutta Bauer, born in Hamburg in 1955, is one of the most known illustrators and cartoonist. She obtained her university degree at the Hamburg Technical College of Design, she started working as cartoonist for a female magazine and then started with illustration. Her picture book titled Schreimutter won the Deutscher Jugendliteraturpreis Prize (German Youth Literature Award), in 2001.